The world No 14 had three three-putts in a 32-putt round but dug deep to come back from two over after 11 holes to keep his green jacket hopes alive. Now he needs the sun to bake the course firmer and faster so he can have some chance of becoming Ireland’s first Masters champion. Pleased with his 72, G-Mac said: “I think we are in for a firm, fast weekend but it's going to be a lot of fun. The tougher, the better, I hope, for me. “It has to be firm and fast for me to have a chance to compete. I don't feel like it's been like that the last three or four years since this golf course has got longer. “If I was to design a golf course for me to win a major championship, it probably would not look like this, but who knows. 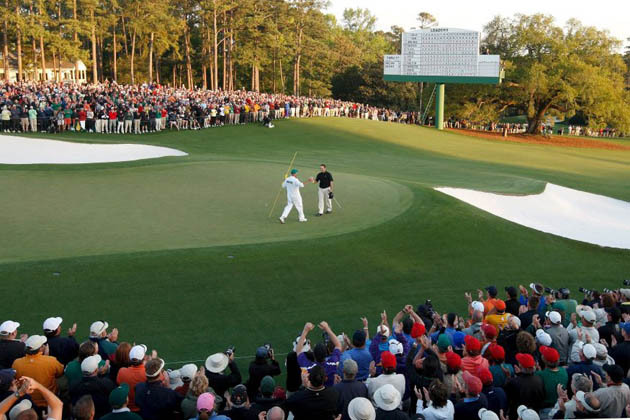 Lacking the power to bring Augusta to its knees, McDowell was frustrated to play the par-fives brilliantly from tee to green and pick up just one shot. 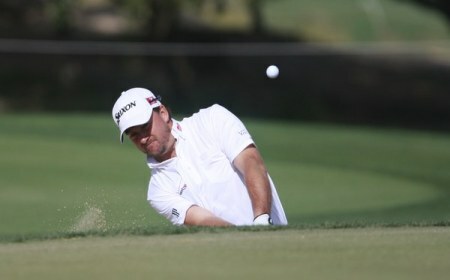 McDowell said: “I played the par-fives about as well as I can play them from tee to green and walked off one under. Patience was the key to his round but he admitted that he almost lost it when he hit a brilliant five-wood to 40 feet over the water at the 15th and clumsily three-putted. He groaned: “The putt I had on 15 from back right of that flag, I don't think I've seen a faster putt than that in my life. 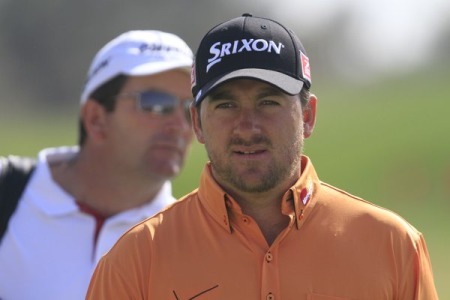 McDowell three-putted the par-five second for par after gunning his 40-foot eagle chance five feet past. He then rattled off another seven pars in a row but three-putted bogey from 40 feet above the hole on the 10th and dropped another shot off a bad drive at the 11th. Struggling at two over, he holed a gutsy 10 footer for birdie at the par-five 13th but while he was frustrated to three-putt the 15th for par after hitting a career five-wood to 40 feet, he didn’t panic. A birdie from 10 feet at the 17th got him back to even par before he got up and down for his four at the last and solid opening effort.